On the 6th and 7th of February we will celebrate our annual Medieval Market Festival. 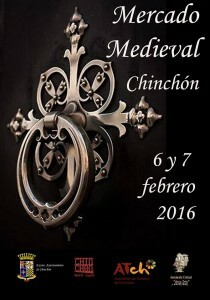 During this weekend the Plaza Mayor of Chinchón and some of its surrounding streets will return to medieval times. The streets will be filled with arts and crafts stalls, acrobats and performances. There will be dance, story telling, games and other workshops. Obviously there will be typical food to savour like: garlic soups, gacha porridge and more. A great plan for families with kids as their will be all kinds of games and performances. Come and enjoy the Medieval Market and Carnaval!